We’re big fans of the Petron Sureshot range of products. Not many people know that they are actually designed by a sports archery firm of long standing and high expertise, so what you get is more than just the typical toy experience, it also comes close to being an authentic sports experience. The Petron Sureshot ..
We’re big fans of the Petron Sureshot range of products. Not many people know that they are actually designed by a sports archery firm of long standing and high expertise, so what you get is more than just the typical toy experience, it also comes close to being an authentic sports experience. 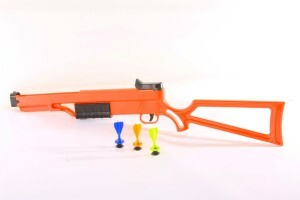 The Petron Sureshot Rifle follows on from the other excellent products in the range (check out our review of the insanely good Petron Sureshot Toy Crossbow here: https://www.thetoyverdict.com/petron-sureshot-toy-crossbow/). We tested the rifle extensively with kids (boys and girls from 7-11 years of age), and found it to be great fun for kids of this age. Normally when we test any products (apart from highly addictive gaming/apps) we find at some point the kids get bored and wander off or start doing other things. This didn’t happen once when we tested this product, because the kids were so engaged and enjoyed it so much. 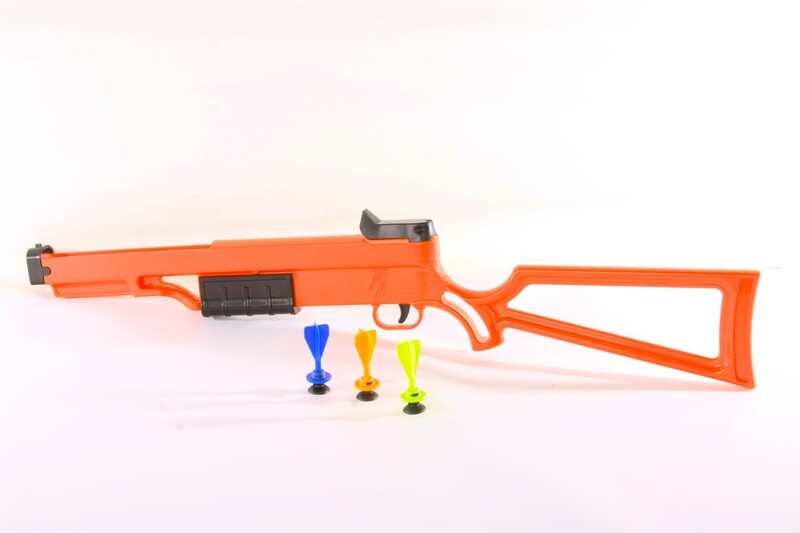 The Rifle has a pump action spring loading system – so the kids have to pull the pumping mechanism back until they hear the spring click into loaded mode, and they can then pull the trigger and fire out the specially designed sucker dart. The rifle features both rear and forward sites for enhanced accuracy. 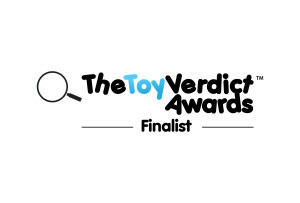 In fairness the rifle we tested had less power than the toy crossbow product we reviewed, but as the toy crossbow is one of the most powerful toy projectiles we’ve tested, the kids didn’t seem to notice/find this to be a strong negative. The loading mechanism was fairly straightforward, and we found nearly all kids of this age could easily operate the pump action…having said that we don’t think the mechanism would work so well with kids younger than this. The other positive feature of the product we’d highlight is the resounding ‘thunk’ noise it makes on firing which added to the fun overall. The other factor we were unsure of before testing was the length of the rifle – we specifically tested to see whether it was a useable size and weight for kids of the target age, and in the end we found no problem with this. WHO’S IT FOR: Kids of 7+ who like this kind of toy with cool features. Clearly some parents may prefer not to encourage playing with this kind of toy, so we would expect them to steer clear, but if you are ok with kids playing with toy guns, then this is right up there! 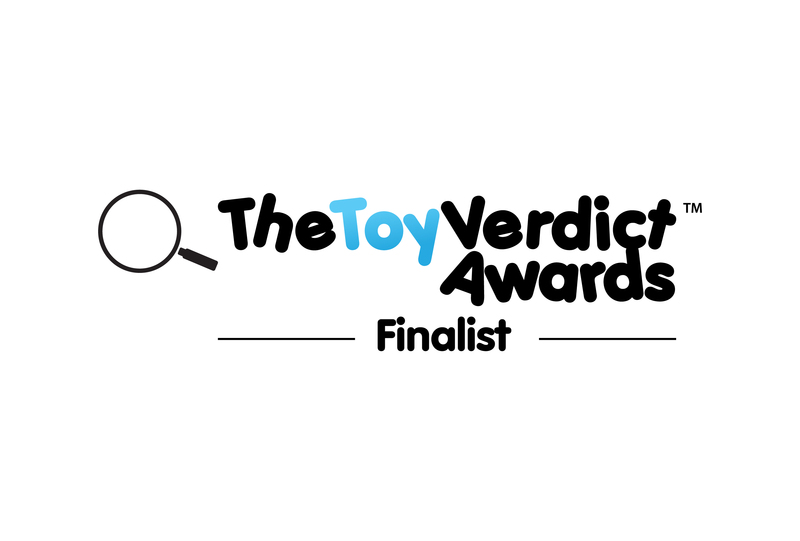 THE TOY VERDICT: We really like this product. As with all Petron Sureshot products it has been meticulously designed, and is great fun to play with.